Gregoria’s father Mr. Yiannakis bought the land in 1964 because he loves nature and he was often fishing in the area. It is the only piece of land that did not change hands the last decades even though the offers from the big real estate developers were many and high. Our aim is to keep the place simple, pure and authentic. This is what our visitors really like to see, the real Cyprus. 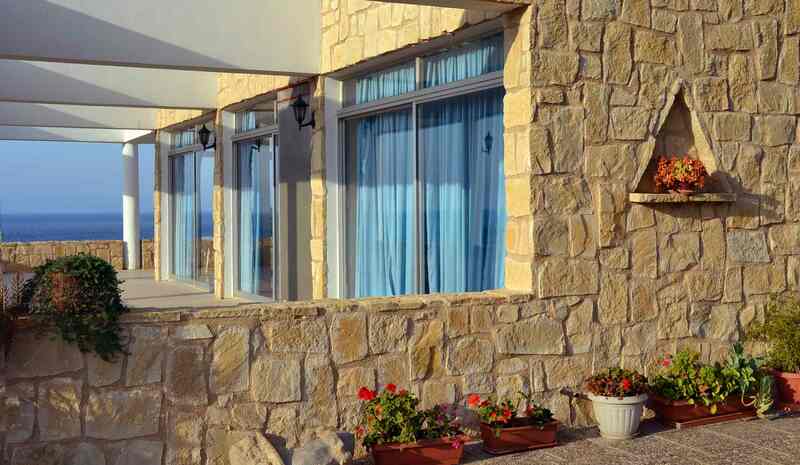 Aphrodite Beach Hotel was created slowly, slowly, step by step, with a lot of hard work, dedication and love. We feel blessed and proud to be part of this sacred place. Gregoria always wished to dedicate a church to our Panayia, Mother Mary as a thank you gift for all the blessings that she received. This deep wish became reality during 2013. So now, this picturesque little church, Panayia Pandanassa, is the perfect location for small religious ceremonies: weddings, christenings.